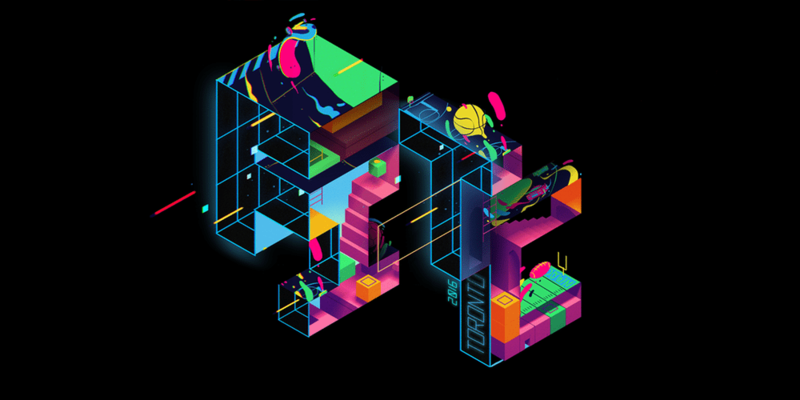 Your skills, your connections, your passion: take it all to the next level with FITC Toronto 2016 – a three-day professional celebration of the best the world has to offer in design, web development, media and innovation in creative technologies. It’s a conference that both unites and transforms the industry – assembling major leaders and players from across North America and the world. Now in its 15th year! DIGITAL CREATORS and TECHNOLOGISTS. This event is for designers, developers, digital artists or anyone who creates things in the digital space. From technical to inspirational sessions, there’s always something for you, no matter what stage of your career you’re in. FITC Toronto covers the future of everything innovative, technical and creative to leave you informed, challenged and inspired. It’s three packed days of presentations, featuring hand-picked speakers from all over the world. There are designated full-day tracks covering Inspiration, Creative Coding, Web-Dev, and Business; this means that at any given time, you will have a selection of different presentations to choose from. You know the benefits that attending this conference will give – now share them with your boss! You’ll learn great insights and tips that you can bring back to your team. We’ve set up these templated Why Attend document to help you make a case for it. When: Sunday, April 17th, 2016 to Tuesday, April 19th, 2016.